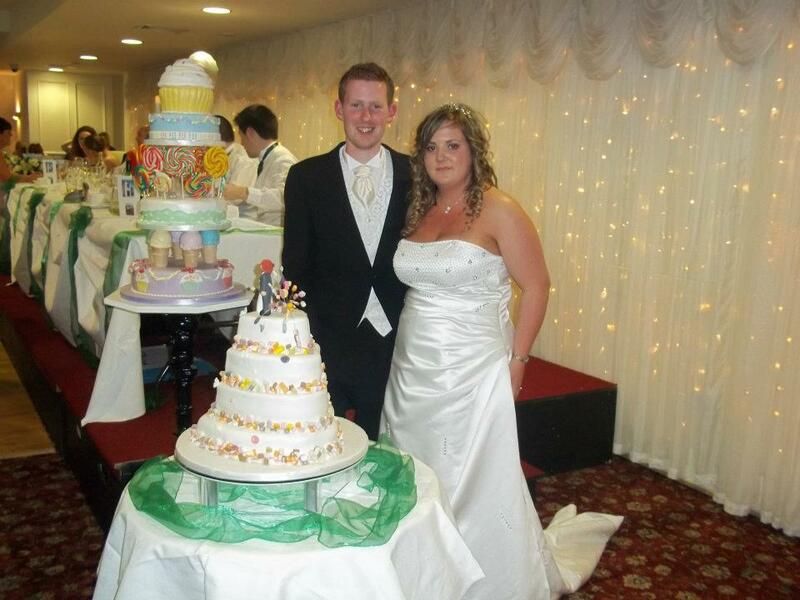 The Fairy Cake Sligo | The wedding cake experts based in Sligo. So, you've picked the dress, sorted the bridesmaids, argued over the guest list; now for the most delicious decision of all "The Cake". Why not make it the easiest task and come to "THE FAIRY CAKE" where Gail can help you with the cake you've always dreamt of! We pride ourselves on providing delicious tasting cakes at competitive prices and as part of our wedding cake service we offer a cake tasting session free of charge to all our Brides & Grooms (strictly by appointment only). If you're looking for that unusual cake and don't know where to go, give us a call. We love a challenge!!! 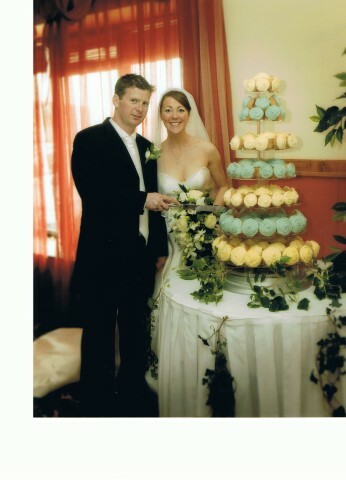 Time Scale: Generally for Wedding Cakes we would require a minimum of six week's notice but don't despair, if your time scale is less than that give us a call and we'll see what we can work out for you. For the Birthday or Celebration cake a week is generally enough time for us to create that finishing touch . It is always best to order as soon as you know what you would like. We'd hate to disappoint you!!! Number: of People attending/invited. How many of your guests will eat the cake or who will bring a piece home? Do you want all your guests to enjoy a piece of your cake? Will you be sending cake to those guests who are unable to attend? Shape of Cake: The shape and tier size of your cake will decide how many pieces you will realise from the cake. The larger the cake the bigger the number of slices. Type of Cake Mixture: Would you like Fruit, Madeira or Chocolate etc? We have almost 60 different flavours and fillings to choose from. Filling: If you are having a Madeira or chocolate mixture you may want to put some thought into whether or not you would like your cake filled with a Butter-cream, Conserve (Jam) filling, Fresh Cream filling or maybe a chocolate Ganache for that decadent touch. Do any of your guests have allergies? We do a wide range of Gluten, Egg and Dairy Free Cakes. Type of Icing: There are several types of icing. Generally a fruit cake will require marzipan underneath the icing. Madeira or Chocolate sponge cake can be iced directly onto the cake (no marzipan required) but the icing layer may need to be slightly thicker to give an even covering to the cake. Colour: Would you like a single colour cake or maybe you'd like to compliment it with the colour scheme of your special day? Sugarpaste: This is an icing that can be moulded and rolled out. It does not set hard like Royal Icing. It can be coloured and tinted to suit your colour scheme. Royal Icing: This icing sets quite hard, the longer it is left the harder it becomes. 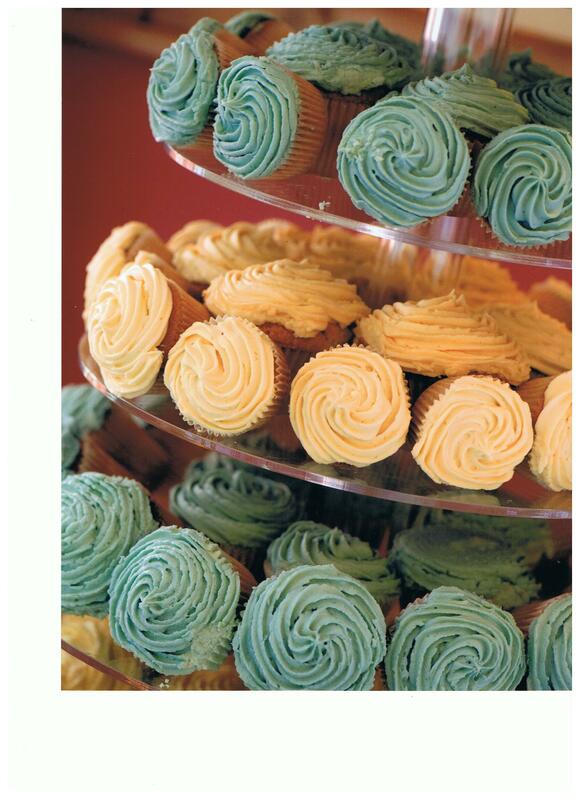 This icing is used for piping and decoration but is perfectly suitable to completely ice a cake. Again it can be coloured and tinted to suit your requirements. Chocolate Paste:	This is a new product onto the market (it is not chocolate flavoured icings) it is a specially formulated chocolate product for the chocolate lover. Imagine a bar of chocolate covering your cake and you'll get the idea. It is available in Milk or White Chocolate. There is a Dark Chocolate also available but at present is only suitable for covering the smaller cake and for chocolate decoration. Decoration: Would you like the cake plain, with ribbons, sugar flowers or real ones? Figures? Would you like the cake painted or embroidered? Making the Cake Yourself:Is a family member making your cake or part of your cake? Do you need some of it made or iced by ourselves? Design:- Have you seen something you like in a magazine or online? Have you got a theme? Maybe something that's special to you as a couple?